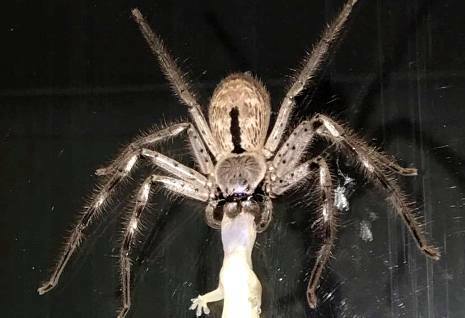 BEERWAH, Australia, Dec. 6 (UPI) -- An Australian woman captured photos and video of the unusual scene outside her window -- a giant huntsman spider eating a lizard. 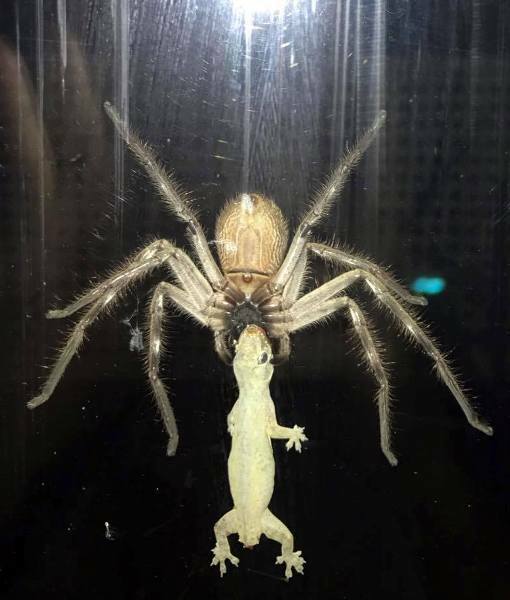 Melanie Jade Ottaway of Beerwah, Queensland, posted photos to Facebook showing the massive spider carrying the gecko after apparently besting the reptile in a battle to the death. "Anyone hungry for some lunch," Ottaway wrote. 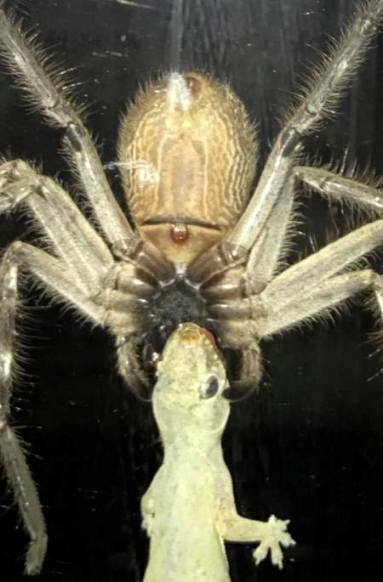 Ottaway also captured a short video of the huntsman carrying the gecko. 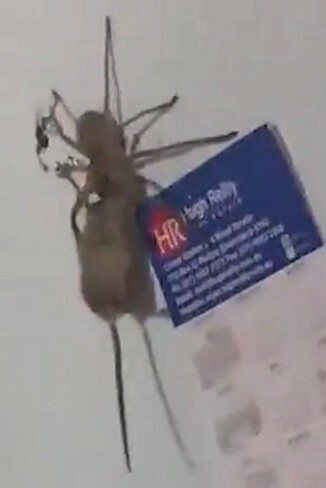 Huntsman spiders are known to be quite strong -- a member of the species was recently caught on video carrying an entire mouse up the side of a refrigerator. They are mostly grey to brown, sometimes with banded legs. 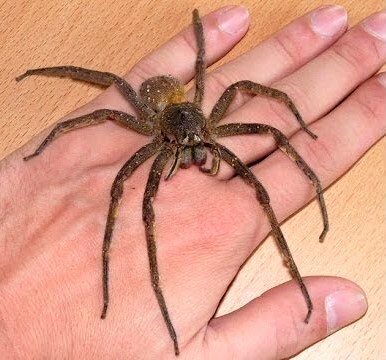 Many huntsman spiders, especially Delena (the flattest), and including Isopeda, Isopedella and Holconia, have rather flattened bodies adapted for living in narrow spaces under loose bark or rock crevices. This is aided by their legs which, instead of bending vertically in relation to the body, have the joints twisted so that they spread out forwards and laterally in crab-like fashion ('giant crab spiders'). These genera are generally widely distributed throughout Australia, although Heteropoda is absent from most of Southeastern Australia and Tasmania has only a few Huntsman species.